Superior Quality, Superior Service is our mission and promise to you. Suburban is a Fully Licensed and Insured Contractor. Family Owned and Operated for 2 generations. When you call Suburban Windows & Siding you can trust that we will use only the best products and provide the best service. Our Professional and Friendly Staff will guide you through the process every step of the way. Giving you the best options with the best value in the Greater Philadelphia Area is something we take pride in. 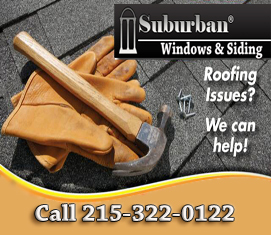 We provide service to Montgomery County PA, Bucks County PA, Delaware County PA and NorthEast Philadelphia. Our Team is FULLY LICENSED AND INSURED and are ready to deliver 100% Satisfaction. CALL TODAY!!! 215-322-0122 and let us make this service experience a great one. 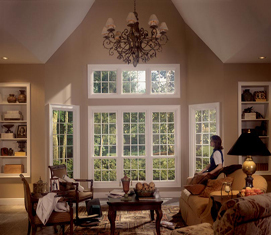 Replacing your windows can be a daunting task. There are many options to choose from and it is vital to have them installed properly. Our list of windows basics will get you familiar with the products we offer and help you make a more informed decision. As you can tell from our name, windows are our specialty. Give us a call and our windows experts will answer all of your questions about window replacement. Are you looking for a new door, replacing or upgrading an existing door, Suburban Windows & Siding can help you. We sell and install Storm doors, French Doors, Sliding doors, Exterior doors and any other kind of door you might be looking for. 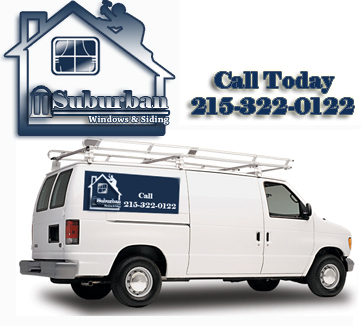 You can trust Suburban Windows & Siding to provide you excellent service and help you chose the right solution. Replacement or re-roofing is usually required on shingles that are over 20 years old simply because of the age of the roofing materials. Consideration should be given to the underlayment, ventilation and insulation because together these elements play an essential role in preventing heat and moisture build-up from damaging the roofing structure and materials. You should also give careful thought to choosing an effective gutter guard system that protects gutters from clogging. A reputable roofer will make sure that all of these components work together to prolong the life of your roof. 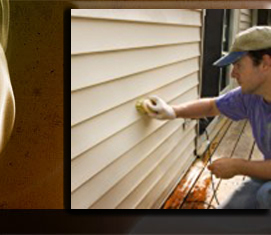 Siding is a terrific way to improve the looks and value of your home. It is low maintenance and can renew a property, adding value to your investment. Suburban Windows and Siding uses high-quality name-brand siding products that have been proven to last. Working with multiple siding brands allows us to fit almost any budget, price, color and look. Hatfield, Jenkintown, King Of Prussia, Lansdale,Narberth, North Wales, Pennsburg, Pottstown, Red Hill, Rockledge, Royersford, Schwenksville, Souderton, Telford, Trappe, West Conshohocken, Abington Township,Douglass Township,East Norriton Township,Franconia Township,Hatfield Township,Limerick Township,Lower Frederick Township,Lower Gwynedd Township,Lower Merion Township,Lower Moreland Township,Lower Pottsgrove Township,Lower Providence Township,ower Salford Township,Marlborough Township, Montgomery Township,New Hanover Township,Perkiomen Township,Salford Township,Skippack Township,Springfield Township,Towamencin Township,Upper Dublin Township,Upper Frederick Township,Upper Gwynedd Township,Upper Hanover Township,Upper Merion Township,Upper Moreland Township,Upper Pottsgrove Township,Upper Providence Township,Upper Salford Township,West Norriton Township,West Pottsgrove Township,Whitpain Township,Worcester Township. Bristol,Chalfont,Doylestown,Dublin,Hulmeville,Ivyland,Langhorne,Langhorne,Manor,Morrisville,NewBritain,NewHope,Newtown,Penndel,Perkasie,Quakertown,Richlandtown,Riegelsville,Sellersville,Silverdale,Telford, Trumbauersville, Tullytown,Yardley,Bedminster Township,Bensalem Township,Bridgeton,Township,Bristol Township,Buckingham Township,Doylestown Township,Durham Township,East Rockhill Township,Falls Township,Haycock Township,Hilltown Township,Lower Makefield Township,Lower Southampton Township,Middletown Township,Milford Township,New Britain Township,Newtown Township,Nockamixon Township,Northampton Township,Plumstead Township,Richland Township,Solebury Township,Springfield Township,Tinicum Township,Upper Makefield Township,Upper Southampton Township,Warminster Township,Warrington Township,Warwick Township,West Rockhill Township,Wrightstown Township,Brittany Farms-Highlands,Churchville,Cornwells Heights-Eddington,Croydon,Erwinna,Fairless Hills,Fallsington,Feasterville-Trevose,Levittown,Newtown Grant,Richboro,Southampton,Uhlerstown,Upper Black Eddy,Village Shires,Warminster Heights,Woodbourne,Woodside. 111 Buck Rd, Huntingdon Valley, PA, 19006.